Welcome Back to Football Friday and the Game Day Recipe. Jezebel Sauce is a popular Southern favorite, eaten alongside meat and vegetables such as: country ham, fried chicken and black-eyed peas. There are probably as many recipes for Jezebel sauce as there are for fried chicken but what exactly is Jezebel sauce. Jezebel sauce is a hot, sweet and spicy condiment named after that bad girl of the Bible. The original bad girl, Jezebel. Jezebel was something else indeed. She caused havoc and stirred things up everywhere she went. You can also say the same thing about this sauce that is her namesake. Sweet yet spicy with just the amount heat but very delicious and addictive all the same. 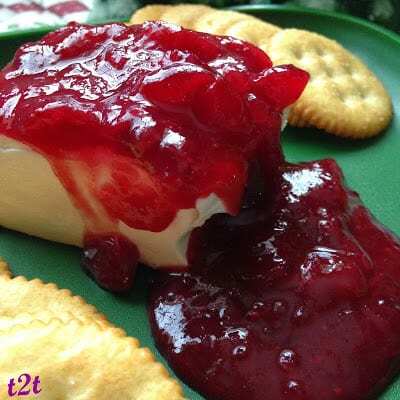 During the cocktail parties of the 80’s, when every sauce imaginable was poured over a block of cream cheese, Jezebel sauce became a favorite. 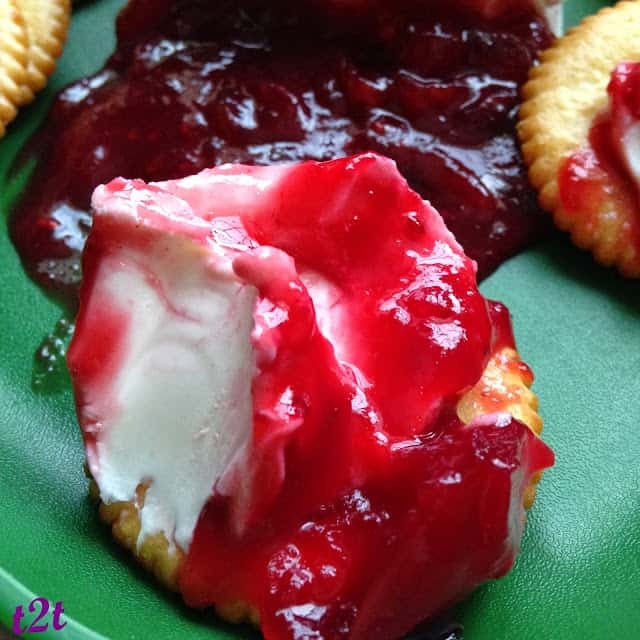 Jezebel sauce poured over cream cheese, arranged on a platter, surrounded by buttery crackers, this appetizer never goes out of style. is the perfect sauce to serve during the holiday season. 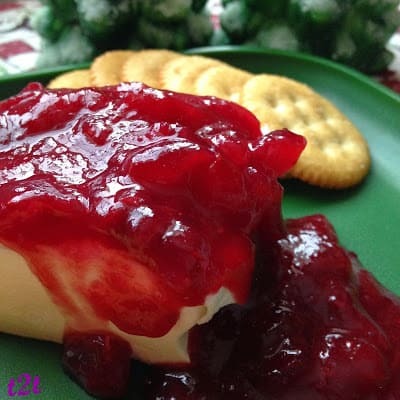 Cranberries and chili sauce give this sauce it’s beautiful red color. Serve this gorgeous crimson sauce on a green plate for a festive look. Sweet and spicy yet tart and tangy, this sauce will please everyone. Combine first 5 ingredients in a large saucepan. Bring to a boil over medium heat. Stir in cranberries. Return to a boil and cook, stirring occasionally, 10 minutes. Remove from heat, cool. Stir in chili sauce, mustard and horseradish. 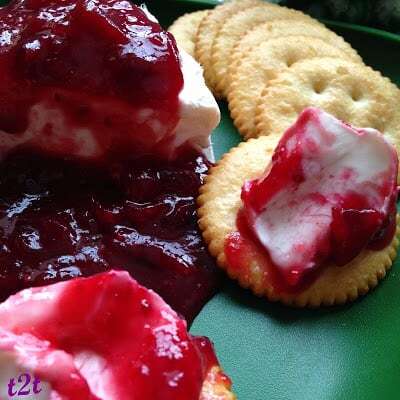 To serve, place softened cream cheese on a serving plate. Combine all ingredients in a small bowl, whisk together. Refrigerate several hours or overnight to allow flavors to blend. 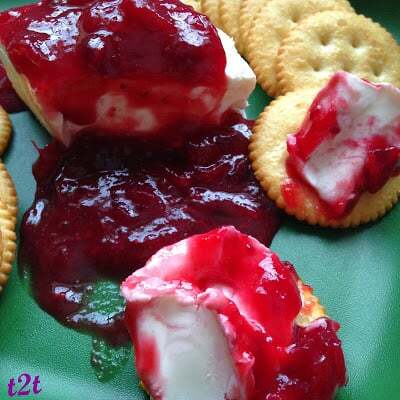 Serve with ham, vegetables or as an appetizer with crackers. Fun post, Lynn. 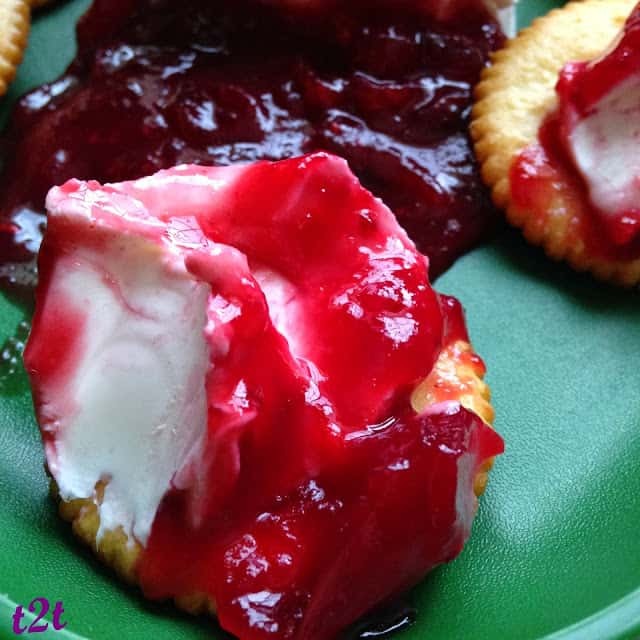 I love your northern version with cranberries! This sounds like a terrific sauce and I have leftover cranberries. Pinned. Thanks for sharing this with us on Weekend Bites. This sauce is so pretty and tasty! I'd love it if you shared this at Holiday Best with Tumbleweed Contessa. 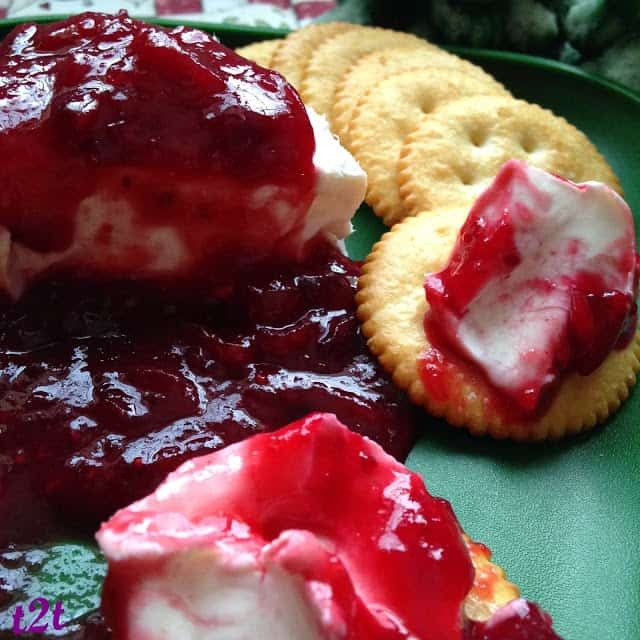 Lovely, interesting recipe and a great post read! Pinning this! Stopping by from the weekend social Link party. This sounds like something I need to make soon. Yummy. How important is the horseradish to the recipe? My husband won't touch it otherwise 🙂 Thanks for sharing on Weekend Bites!